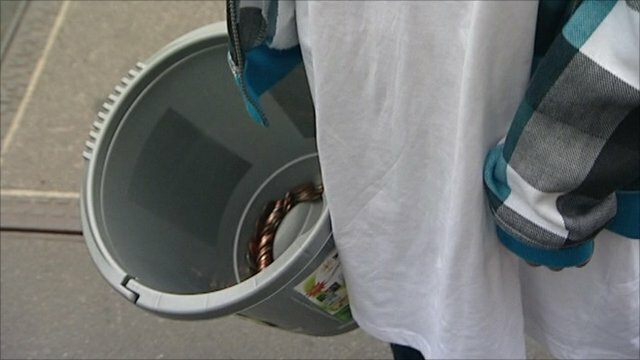 Africa drought affects 11 million Jump to media player More than 11 million people have been affected by the worst drought in 60 years in the Horn of Africa. 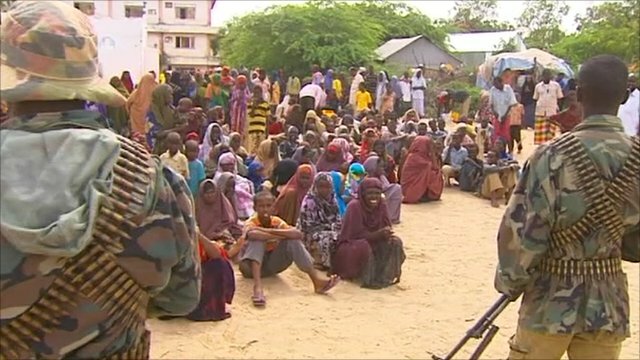 Crossing front lines for aid in Somalia Jump to media player The United Nations says the famine is spreading across southern Somalia, as aid struggles to get through the war-torn country. On the frontline of Somalia's famine Jump to media player The crisis in Somalia is becoming more desperate with the famine threatening thousands of lives - and the United Nations warning the worst is yet to come. 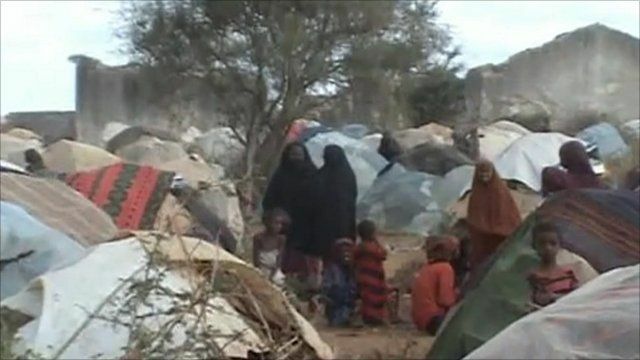 UK Somalis 'hopeful' for aid help Jump to media player One of the UK's largest Somali communities is doing all they can to help raise money for those affected by the famine. More than 11 million people have been affected by the worst drought in 60 years in the Horn of Africa. The UN's Food Security and Nutrition Analysis Unit (FSNAU) said that famine was "likely to persist until at least December 2011". Getting aid into Somalia has been difficult because al-Qaeda-linked al-Shabab group, which controls much of the south and central regions and parts of the capital, Mogadishu, has banned some aid agencies from their territory. 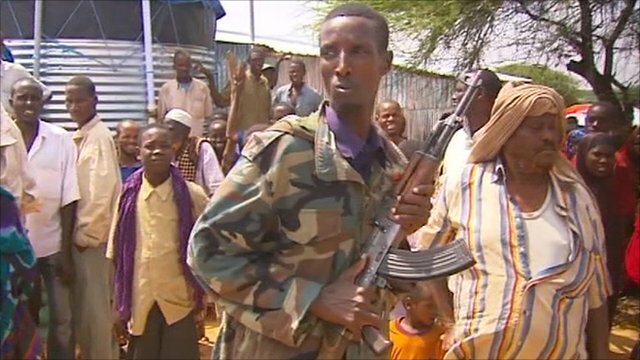 The BBC have gained a rare insight in to Al Shabab-controlled territory. There are some distressing images in his report.